The memorial is located at the Lannon Village Police Department at the intersection of eastbound West Main Street / Wisconsin Route 74 and northbound Lannon Road / County Y, at 20399 West Main Street, Lannon, Wisconsin 53046. NOTE: The easiest way to access the memorial is to park in the lot behind the police department; enter from Lannon Road. See also, Lannon Stone, also at this location. 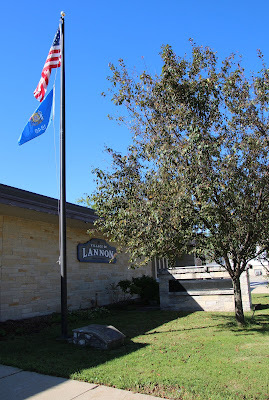 The memorial is located in Lannon, Wisconsin.